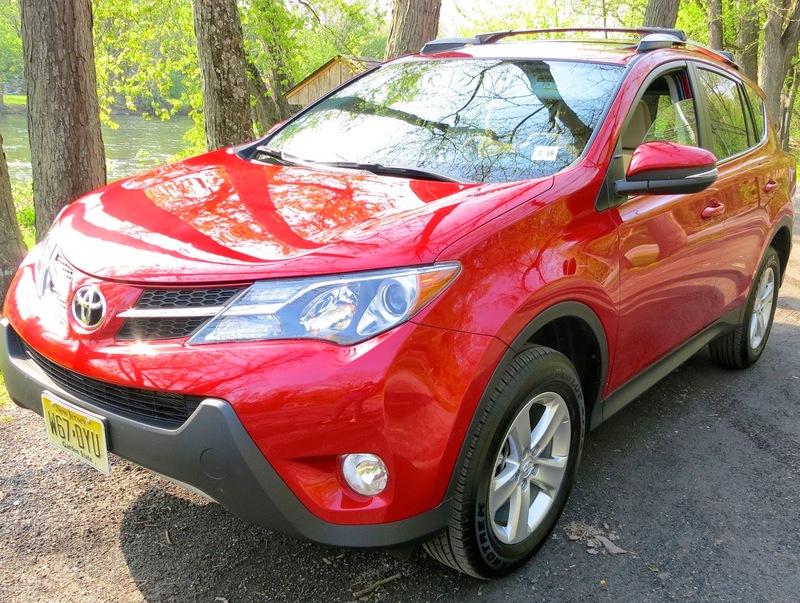 Toyota provided me with this vehicle for one week for review purposes. All opinions are my own. Read my Disclosure Policy. I'm so happy that Spring is here and that means it's time for outdoor fun! 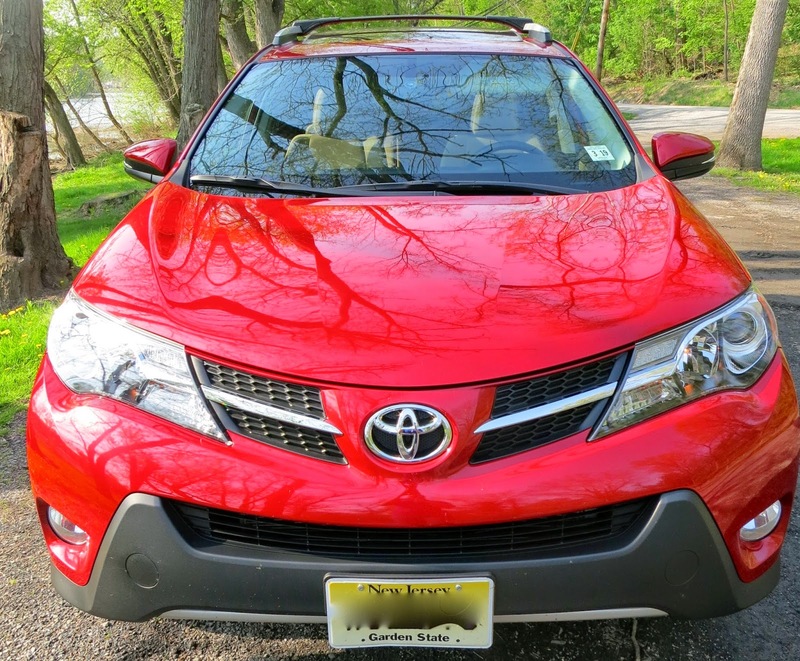 I decided to put together 5 reasons why the 2014 Toyota RAV4 is a great pick as a vehicle for people who love the outdoors. 1. It can handle rough terrain. 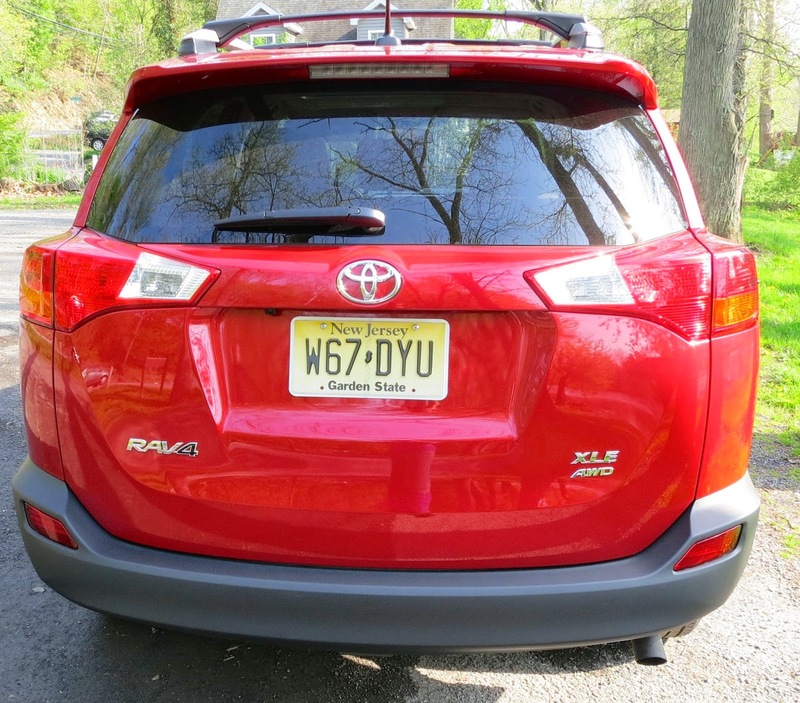 The 2014 Toyota RAV4 XLE AWD has 4-wheel independent suspension and dynamic torque control so it's great with roads that may have bumps and bends. It handled rocky terrain when I took it down near the creek to watch the sunset. Even though it can handle the bumps, you won't notice because it's got such a smooth ride for the passengers! Plus the Power Steering System and 6-speed automatic transmission will keep it moving efficiently and easily. I love how this SUV handled around turns too. I wasn't clenching my hands on the steering wheel like I do in my car. 2. It's comfortable in hot AND cold climates. 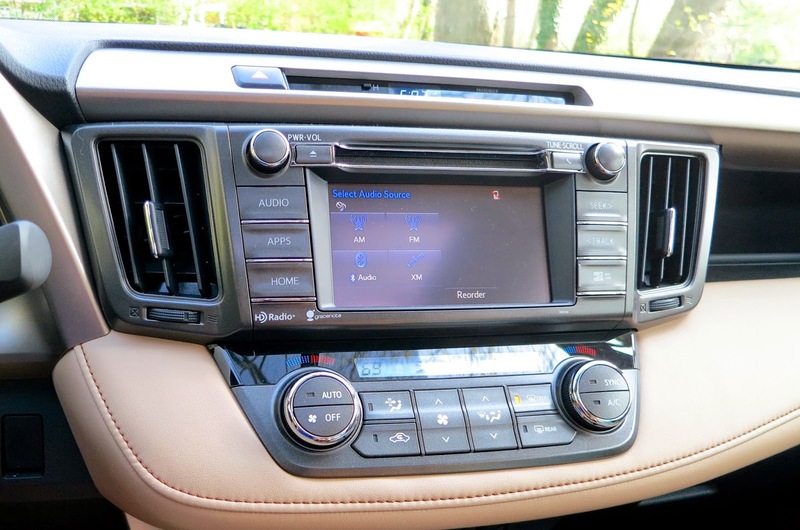 The dual zone Climate Control was amazing. 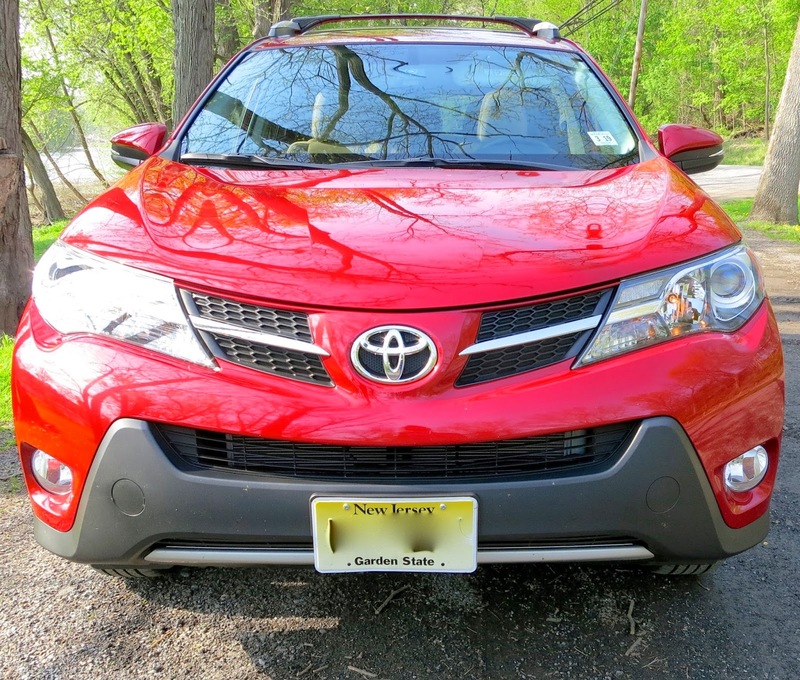 This SUV heats up fast and cools down quickly and it really made it nice with the bipolar Pennsylvania weather. No need to wait for the vehicle to cool down or heat up, you only need a few seconds! 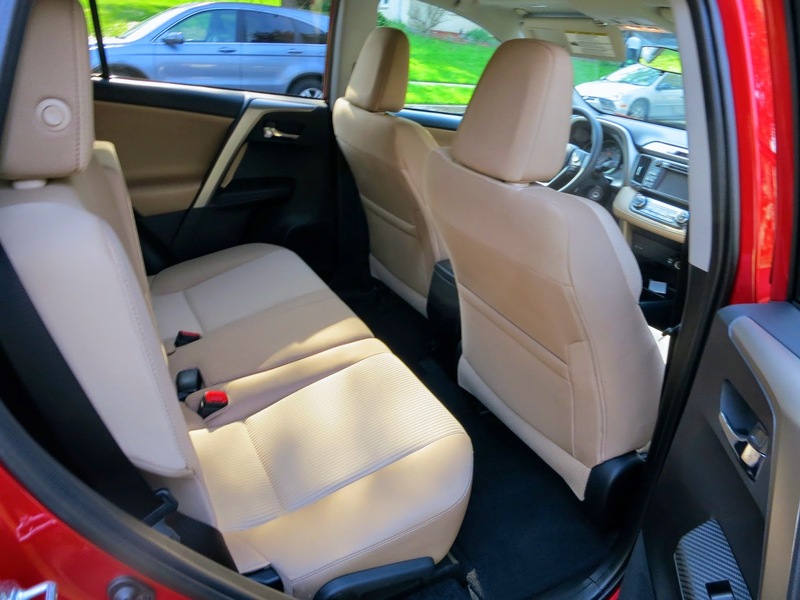 The passengers in the backseat will enjoy it as well, not to mention the fact that backseats recline! 3. 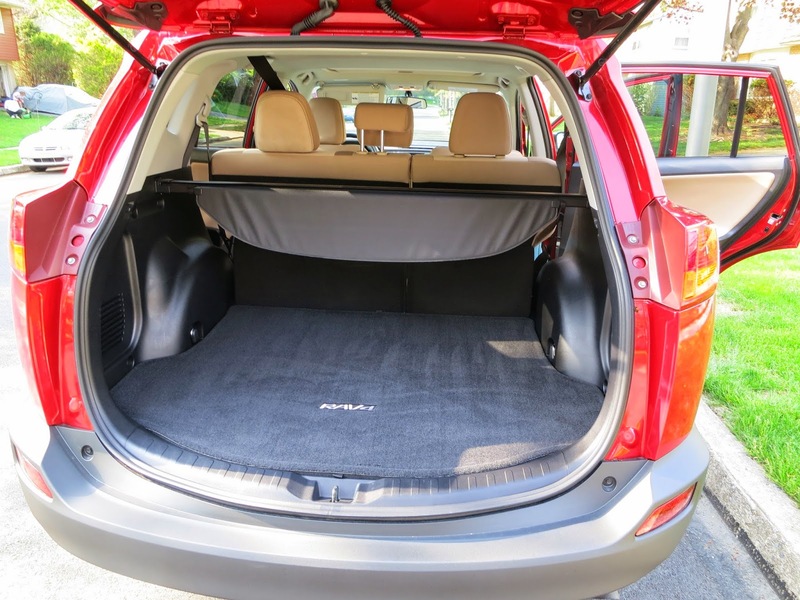 It's safe and comfortable for long road trips or group getaways. 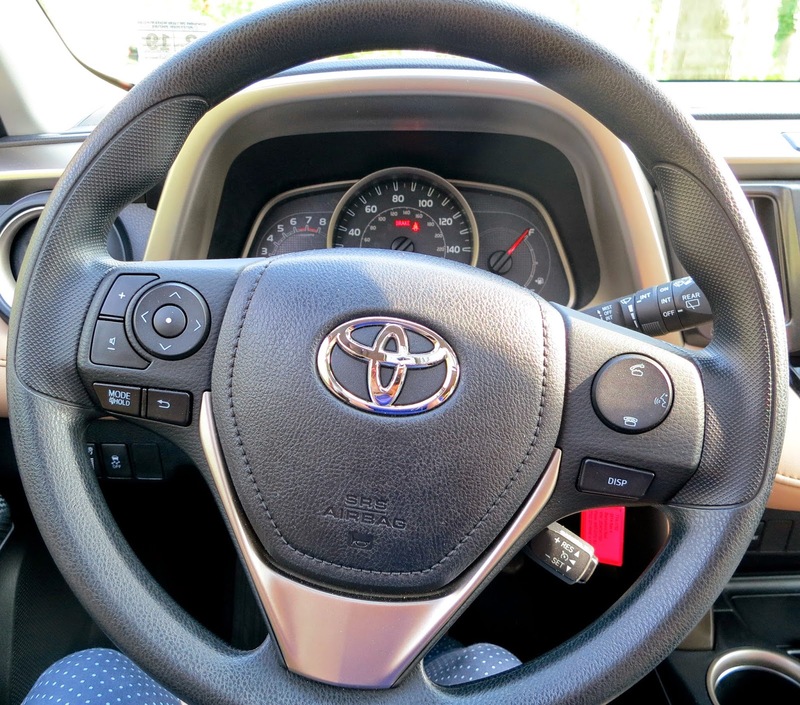 To ensure safety, there are eight standard airbags and Driver and Front Passenger Whiplash-Injury-Lessening Seats. 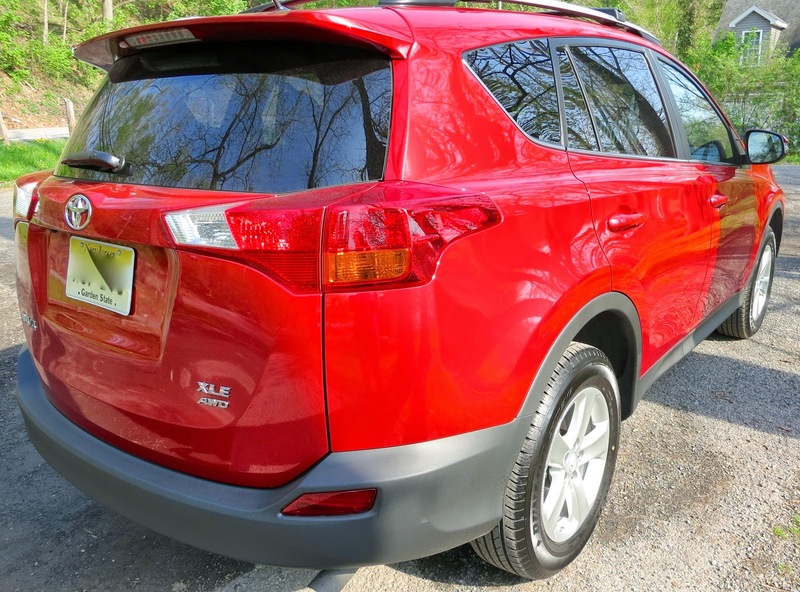 You won't have to worry about your tires thanks to the tire pressure monitoring system and of course there is enhanced vehicle stability control, brake assist, traction control, and anti lock brakes. There is a great sound system with 6 speakers so everyone can listen to music if they get stir crazy. There is also an ECO and Sport mode option which does great on the wallet when it's being fuel efficient. 4. It's roomy and efficient. 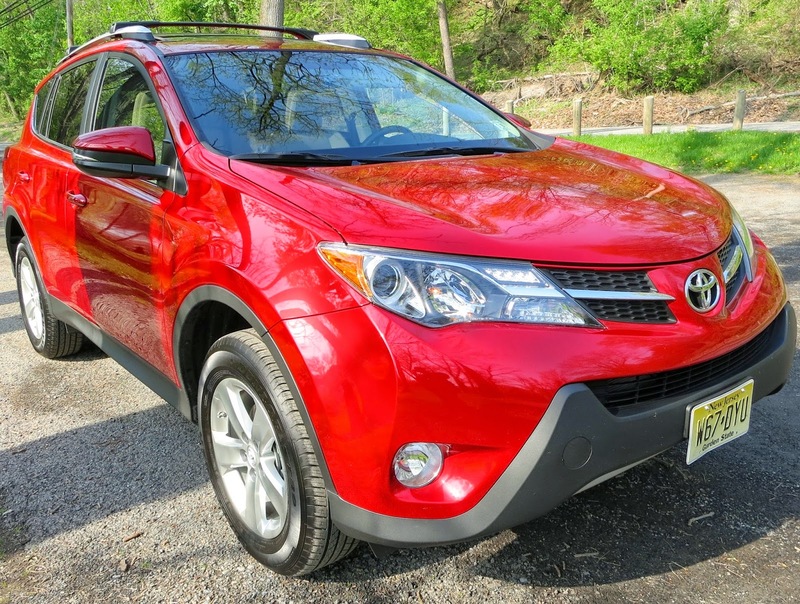 Whether it's a long road trip or a monthly excursion, the seating in the 2014 Toyota RAV4 is comfortable and spacious with plenty of room for seating adjustments. 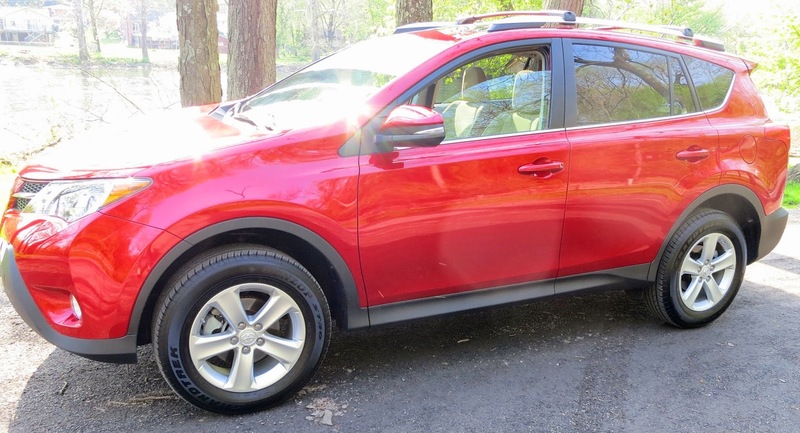 The gas mileage is great and the navigation system is on point! This is great when you map out your random excursions or when you want a dependable set of directions for your kayak trip. 5. There's plenty of storage space. If you like fishing, throw the rods in the back! And if you like camping, you'll have no issue fitting all of your survival goods into the trunk. 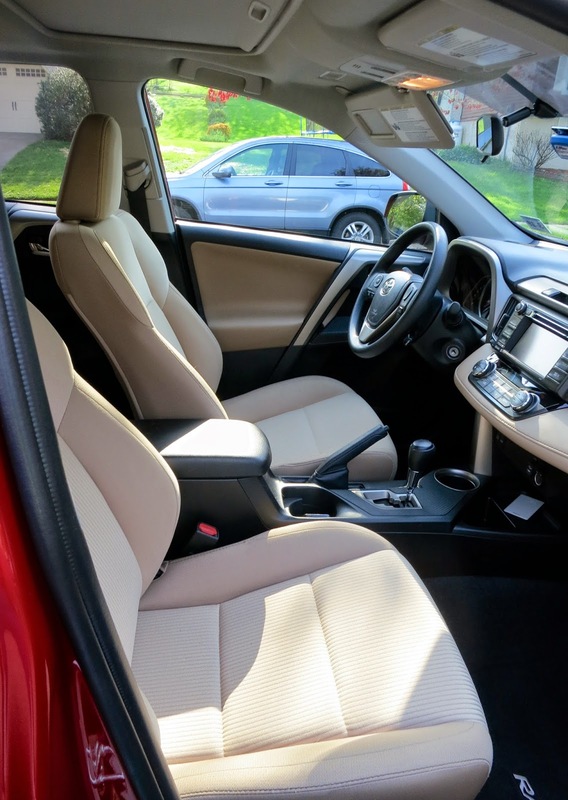 The backseats fold flat which gives you even more room! I don't know much about cars but it looks so pretty! Haha, the interior is so nice and I love how bright the colour of it is! the colour is so pretty isnt it! Thanks for stopping by Sarah!